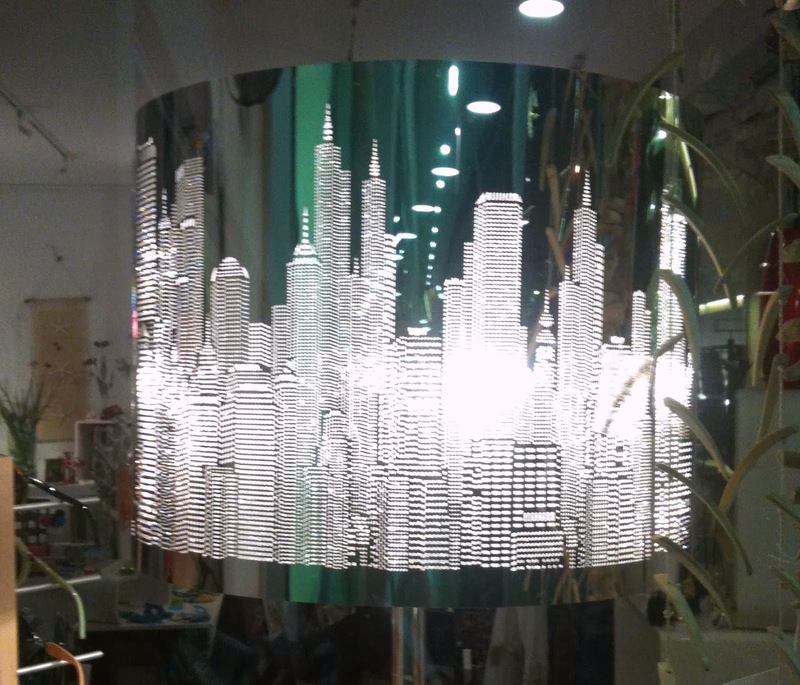 I'm trying to replicate this stunning lamp. I can't decide whether to punch holes in the lampshade or paint it on in German Glass Glitter. Either way, I think it will steal the scene in my living room. When you have one breathtaking thing in the room, all else fades into insignificance, allowing you to declutter, streamline, and reclaim space for a calm heart. All you need is one thing. 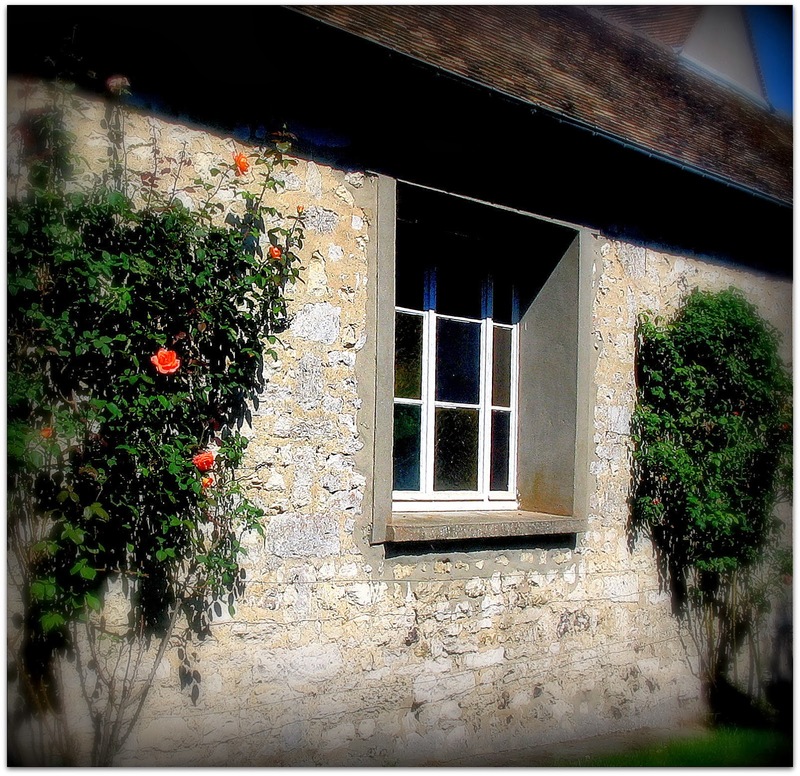 I photographed this cottage when I was in Giverny a few years ago. You know...home of the Impressionist artist, Monet, and all that. It was picturebook pretty as you might imagine, and how I wished I could live there. Alas, that's not happening as my entire life is here in Australia, and my desire to be near my children and grandchildren exceeds my desire to immerse myself in French living...only just...but it wins. Frequent visits would assuage my desire, but international travel at the level at which I'd like to become accustomed is crazy expensive. So I content myself with recreating little bits of Giverny here at home. 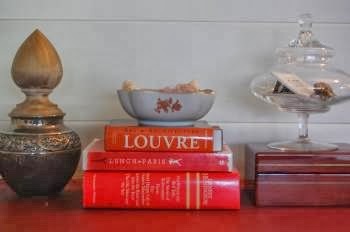 ...a vintage Limoges bowl and some French reading.. It's not quite 'living in France', but it works for me. How do you recreate your dream life? Honestly, why would you wait around for a man to give you roses. Even in the sub tropical climate in which I live, I can have roses in abundance if I grow them myself. 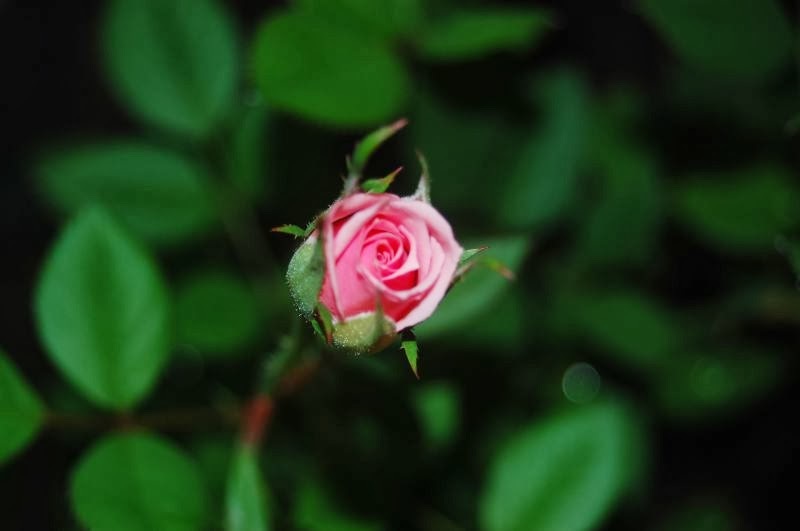 This one, in the most gorgeous shade of strawberry milkshake pink, is a miniature rose, with a delicate perfume, and a bud that opens to a multi-petaled old style rose, just like the ones my Nanna used to grow at the front gate. I'd see her pruning them every afternoon, and it never occurred to me until recently, with Nanna gone for many long years, that she wasn't 'pruning', she was waiting for me to return home from school, safe and sound. 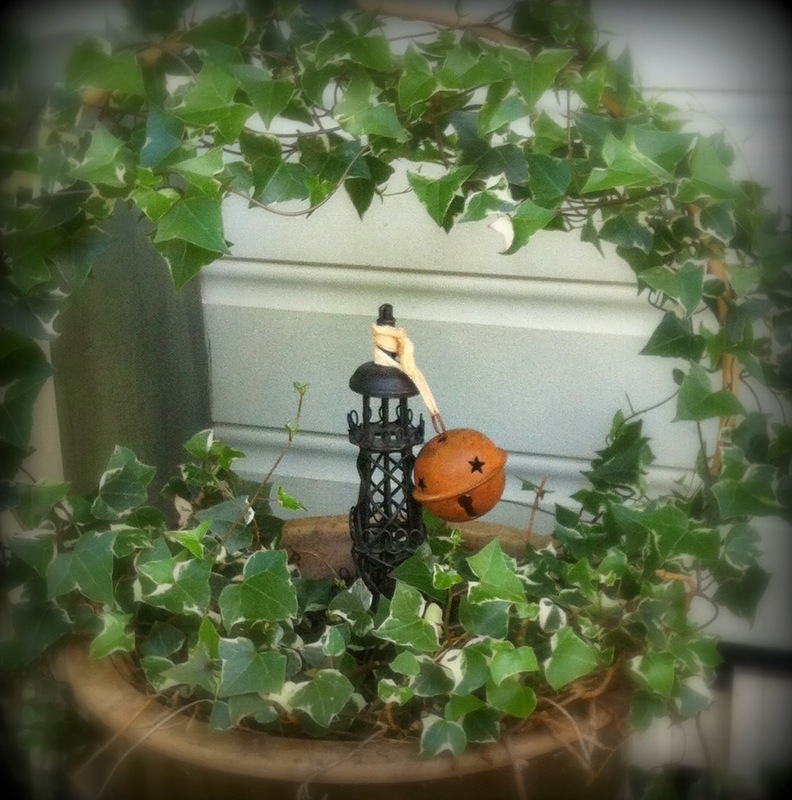 Precious memories in a small rosebud. And roses for free, for as long as I can be bothered to water my little rosebush at my front door.